The Nebraska legislature is no longer in session, but WSA is still hard at work researching issues and engaging with Senators and candidates alike. The interim is always interesting. Early on a ballot initiative that would have put a question to voters about refunding a percentage of property taxes paid through income tax credits was disbanded for the time being. The other major ballot initiative is to put a question to the voters about expanding Medicaid. It will still be a few weeks until the signatures are all counted on that one and whether voters will get the opportunity to express an opinion at the November election. In positive property tax relief news the U.S. Supreme Court ruled states can collect sales tax from online retailers, a hotly debated issue in this past session. The Nebraska legislature did not act on a bill that would have put a collection mechanism in place in 2018, but we can rest assured the topic will be back in 2019 and Governor Ricketts has already announced it would be his intention to target that approximately $30 million dollars toward property tax relief. Interim studies and hearings have begun but are unlikely to really ramp up until fall. One issue that has several Senators interested is how meat and dairy products are labeled. Missouri in their 2018 legislative session passed a “fake meat” law that prescribes how meat that does not come from animals should be labeled. Labeling and marketing are powerful tools and WSA supports calling things meat and milk only when they come from animals. It is not completely clear whether legislation will come forward in Nebraska. Missouri has state meat inspection giving them a bit more authority to regulate at the state level in this arena. WSA is also continuing to engage on a bill it supported in 2018, LB907 which would have clarified the definition of agricultural machinery, specifically as it relates to livestock equipment, for purposes of sales tax exemption. 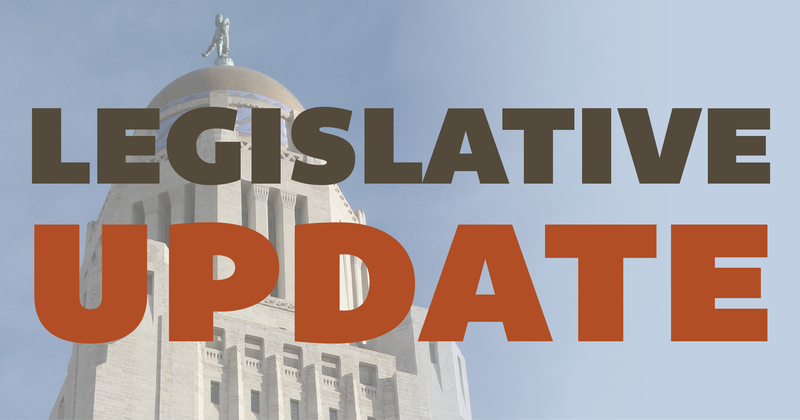 This bill was not passed, but WSA is still working with the Department of Revenue and the legislature to ensure no new taxes are imposed on agriculture and the original intent of Nebraska’s tax code to exempt agricultural machinery from sales tax is maintained. July will be a busy month for WSA with its candidate dialogues coming up. 27 candidates will be sitting down with WSA leaders to discuss policy issues important to Nebraska’s livestock industry. WSA will create a summary of the discussions from these dialogues and supporting partners will receive a copy.